Dominik "Black^" Reitmeier has announced today that he plans to focus on playing professionally, and will no longer be appearing as an analyst at Dota 2 events. Black^ has most recently been known for his role as an analyst, but he has a long history of competing (and succeeding) at the highest level of professional play. Let’s take a look at his career, and what we can expect from him moving forward. Black^ entered into the TI circuit during The International 2 - playing with Kuroky, SingSing, 1437, and SexyBamboe on Mousesports. He played 10 heroes across 18 matches, with Anti-Mage as his most played hero throughout the event. Unfortunately, Mouse were eliminated early on by Ehome, leaving them to finish in last place. Black^ stayed with Mouse for the following year - marking his longest stint on a single roster throughout his Dota 2 career (362 games for his first run with Mousesports). Their appearance at TI3 was with a wildly different roster (FATA, qojqva, Synderan, and paS) but with similar results: the team placed last after losing a bo1 to LGD.Int. Not much was seen of Black^ when the LGD.Int roster he joined fell through at the end of 2013. He popped back up on the map in the wildcard qualifiers of The International 2014 with CIS Game (a Chinese team, despite a name that would make you think otherwise). The the team fell 2-0 to Team Liquid, the “Liquid are Doing It!” roster, and fell just short of the main event. Although he didn’t qualify to play in the main event, Black^ stayed positive and used that time to make some new friends. The era of Vici is, without a doubt, the most success that Black^ has seen to this day in professional Dota. He’s been one of the few Western players to not only have extended playing time in China, but to also have significant success playing on a Chinese team. Black^ has talked about the pressure and the cultural differences that come with playing on an Eastern team many times - noting that this pressure can be a very strong motivating factor. Black^ has 190 matches on record with Vici Gaming with an overall 68.42% win rate, 5.86 KDA, 540 average GPM, and an average of 222 last hits per game. He played 39 different heroes during this time, appearing most often as Invoker (17-4), Drow Range (13 - 5), Centaur (13 - 3), Terrorblade (11 - 4), and Void (9 - 4) with his signature Anti Mage 4 - 2 during his tenure on Vici. Many viewers associate him with Anti Mage, PA, or Morphling, but a look into his history shows his incredible versatility and ability to adapt to the meta. After his success with Vici Gaming, Black^ struggled to find a team that could reach the same level of success. 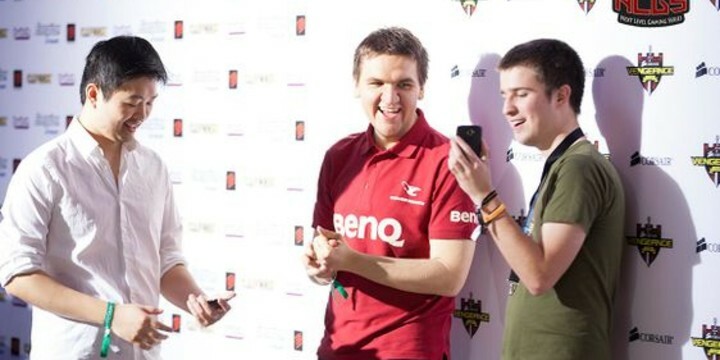 Team Tinker (eventual Mousesports) missed a trip to The International 2015, and 2016 held no prospects for Black^ to play his way to TI6 - so he went as an analyst instead! Eventually Black^ teamed up with Iceiceice to create a SEA superstar team - Faceless. They made it to both the Boston and Kiev Majors, but the team disbanded in July after failing to qualify for The International 2017. Despite his success and popularity as an analyst, Black^ has made it very clear that playing is his priority. According to his twitlonger, he broke his wrist earlier in the year, significantly hindering his ability to get onto a top tier roster (considering he couldn’t play Dota at all). The DPC system has added stability and predictability to the scene, but it has also made joining a roster mid season significantly more challenging - making the next steps for Black^ harder than what they would have been in the past. Black^ has had considerable playing time in EU, CN, NA, and SEA regions - maybe he will look to conquer CIS or SA next! No matter where he ends up, we are sure that his versatility and dedication will serve him well on that eternal quest for the aegis. Looking for a free to play esports prediction game where you could walk away with $$$$? How well does the CS:GO training course hold up in 2019?